Ian Passwell is a qualified P.G.A. member who has had extensive coaching experience for many years with all levels of golfers ranging from touring professionals to absolute beginners both male and female. During his career Ian has played in many important tournaments which included in the field such greats as Jack Nicklaus, Gary Player, and Arnold Palmer as well as our very own Greg Norman, Bruce Devling, Kel Nagle, Peter Thomson and many other fine Australian professionals. As a junior Ian represented NSW and won Trainee Professional State Titles. Ian is a recent P.G.A. Centenary Achievement Award winner as well as having been nominated for P.G.A. Club Professional of the year and NSW Teaching Professional of the year. Ian was chairman of the NSW P.G.A. for 8 years and sat on the board of the Australian P.G.A. for 6 years. 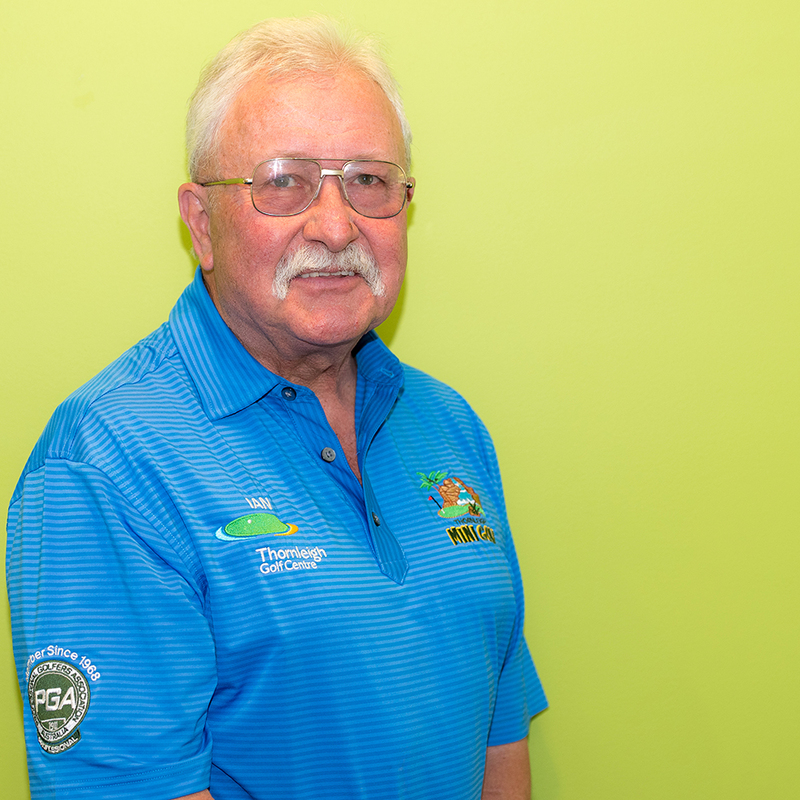 After stints as Head Professional at Palm Beach golf course, Roseville golf course and Mona Vale golf course Ian has recently retired as Head Professional at Ryde-Parramatta golf course after 24 years of service. Ian’s great passion has always been about the science of the golf swing which is based upon the physics of rotation and the geometry of the circle. This may sound a little complicated but Ian believes that you cannot argue with true science whilst it can be taught with great simplicity – his teaching philosophy is based upon “Impact and Alignments” and how to achieve consistent ball flight through compression and correct fundamentals. Ian has had great success coaching male and female club championships from many different golf clubs as well as numerous successful representatives. Ian is fully aware of the limitations that some senior golfers may have and knows many alternatives which can overcome many forms of medical disability. Through ongoing research and study, Ian’s understanding of the technical, mental and physical aspects of the game continues to grow. He is a great believer in “Golf Drills” which are designed to retrain our body so that a correct swing motion can be more easily achieved. Ian prescribes many drills as “homework” so that your next lesson will show major improvement. Video analysis is provided free of charge and a copy of your swing can be emailed to you so that further study and “self-discovery” can be undertaken.